Universal and Legendary have released the first trailer for Warcraft. Warcraft is based on Blizzard’s wildly popular multi-player fantasy game series, which has spawned multiple chapters since the video game debuted in 2004. Helmed by Duncan Jones, the story is set in the peaceful realm of Azeroth, which stands on the brink of war as its civilization faces a fearsome race of invaders: Orc warriors fleeing their dying home to colonize another. As a portal opens to connect the two worlds, one army faces destruction and the other faces extinction. From opposing sides, two heroes are set on a collision course that will decide the fate of their family, their people and their home. 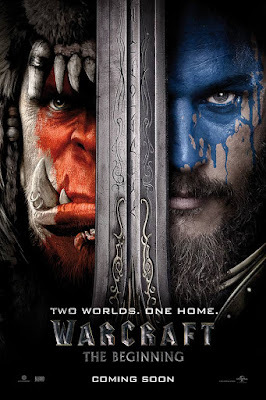 Warcraft stars Travis Fimmel, Dominic Cooper, Robert Kazinsky, Toby Kebbell, Ben Foster, Ruth Negga, Daniel Wu and Paula Patton and hits theaters on June 10, 2016.